Achieving that perfect curl is not that easy and it definitely takes a while to find all the right products and techniques to get the curl that you want. It may seem like a ball of fuzz for you now, but after following these care and styling tips, you’ll definitely be thankful for being gifted with such lovely curls. You may think that washing your hair daily is good, but doing so only strips off the natural oils of your hair, causing it to become dry and frizzy. Unlike straight hair, curly hair requires more moisture so only wash them two to four times a week, and condition them in between washes. Use the right hair products. Curls are known to be prone to frizz, and the best way to prevent frizz is to use an anti-frizz serum. 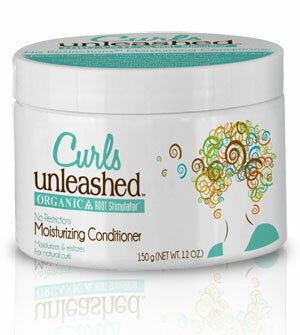 If you want to add more moisture to your curly hair, apply a good amount of leave-in conditioner. You don’t necessarily need to buy expensive hair treatment products to make your hair look good. Most drugstores and beauty shops sell good hair care products at a reasonable price. Avoid towel drying your hair. Towel drying your curly locks will only increase the amount of frizz on it by the time it dries. Instead of towel drying, gently wring your hair in the shower to remove any excess water, then wrap it with your towel over your head for five to 10 minutes. Work on some curling mousse and gels. If you want to have a more defined curls, then apply some good curling mousse or gel on your hair. However, make sure that you apply just the right amount of mousse, or your hair will end up having a stiff and crunchy feeling. Herbal Essences Tousle Me Softly hair product line offers a good range of hair styling products, including mousse and gels that will surely help in giving your hair a perfectly crunched look. Detangle your locks using a wide-toothed comb. Unless you’re planning to sport an afro look, avoid brushing your hair especially when it’s dry. Detangle any knot using a detangling spray and work on each strand using your fingers or a wide-toothed comb. Deep condition your curls weekly. Keep your hair hydrated by deep conditioning it weekly. Check on Garnier’s Fructis Nutri-Repair 5-Minute Ultra Nourishing Butter Mask to give your hair a good deep conditioning treatment that it deserves. Unlike in straight hair, caring for a curly hair requires several considerations, but following such considerations will surely give you that healthy and perfectly curled locks.